We also had an opportunity to travel to Thailand. We visited every Buddha imaginable: the emerald Buddha, the reclining Buddha, the golden Buddha, etc. We were dazzled by the beauty of the most incredible palace I’ve ever seen. The palace took years and years to build, adorned with millions of ceramic tiles of all sizes. 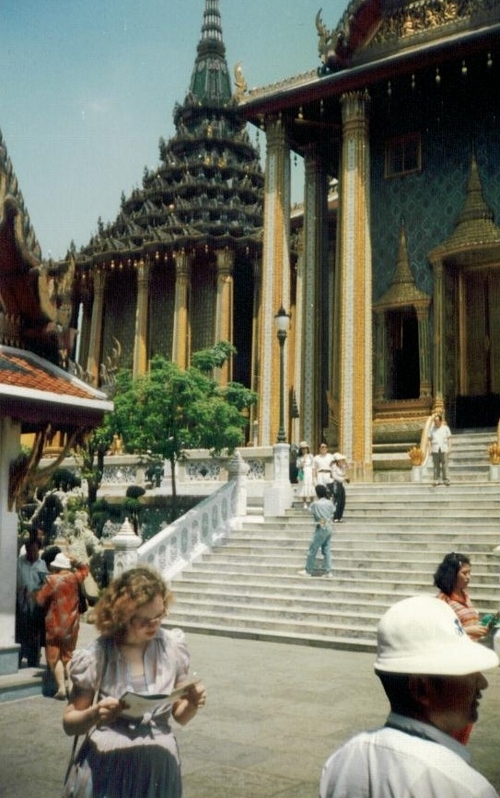 I loved shopping in Thailand and all of the sites were fantastic. But I got really sick while there and Bo says it was all the fresh pineapple that I ate. I just couldn’t get enough of it.